The United States Department of Defense (DoD) is responsible for coordinating and supervising all agencies and functions of the government concerned directly with national security and the United States Armed Forces. 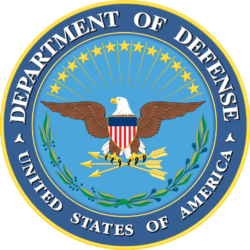 The Department of Defense is the largest employer in the world. DoD employs 2.3 million active duty service members and 1.1 million national guard and reservists, bringing the agency’s total employment to 3.2 million. Defending our nation and its citizens is one of the most important responsibilities of the Federal government. Our continued freedom depends, in large part, on the sacrifices made by the men and women who serve in the United States Armed Forces around the globe. This much responsibility comes with an expensive price tag. For every $1 spent by the Federal government $0.15 goes to Defense. While securing the nation is an investment worth making, there is extensive reporting questioning the integrity of how those dollars are spent. The Pentagon has not passed an audit in two decades, tried to hide a report that identified $125 billion in savings, and funds projects that have little to nothing to do with defending the nation. Equipping and protecting those who serve in the military is without question the top priority of the Department of Defense. However, these funds do not come from a special source. They are paid for with the same taxes and debt as any other spending. Frivolous spending in the pentagon contributes just as must to the national debt as waste anywhere else. Defense of our country is of the utmost importance, but oversight and efficiency reforms should be an essential part of the plan. Not only will this ensure our active duty troops have what they need for battle, it will strengthen our nation.